Περιήγηση από τη σειρά «Η ΕΡΤ ΣΤΗ ΒΟΡΕΙΟ ΕΛΛΑΔΑ» στις προσφυγικές περιοχές της ΘΕΣΣΑΛΟΝΙΚΗΣ. Παρουσιάζεται η ιστορία της εγκατάστασης των Ποντίων στην ΚΑΛΑΜΑΡΙΑ μέσα από προσωπικές μαρτυρίες προσφύγων και πλάνα από προσφυγικά σπίτια. Παρακολουθούμε, επίσης, πλάνα από παραδοσιακούς χορούς και περιηγούμαστε στην Αδερφότητα των Ποντίων. Πόντιοι πρόσφυγες αφηγούνται την προσωπική τους ιστορία και μιλούν για τις δυσκολίες εγκατάστασης και τα προβλήματα που αντιμετωπίζουν σήμερα. Ο ΛΕΥΤΕΡΗΣ ΧΑΨΙΑΔΗΣ, "ΠΟΝΤΟΥ ΑΝΑΘΡΕΜΜΑΝ"
Lefteris Hapsiadis (Λευτέρης Χαψιάδης, born October 23, 1953) is a distinguished contemporary Greek lyrics author, a poet and a writer of novels. In the last thirty years he has written various poems, three novels and also lyrics for 525 songs (registered with AEPI) in the contemporary Greek rebetika, laïka (pop music) and elafra (light music) genres. He has collaborated with various music composers, and has occasionally worked as a record producer. Among those, he has often worked with Christos Nikolopoulos with whom he has had a number of popular records (including Μία είναι η ουσία - One matter counts, and Κάποια, κάπου, κάποτε - Some woman, somewhere, sometime). Together they also created and produced a CD with 12 songs (December 1986), for which they were able to assemble together 11 popular Greek performers, including Giorgos Dalaras, Haris Alexiou, Stratos Dionysiou, Giannis Parios, and Manolis Mitsias. Nikolopoulos performed one of the songs in the CD as well, his first public singing performance ever. The CD was launched as "Τραγούδια για τους φίλους μου" - Songs for my friends. Other quite well known performers of Hapsiadis pop songs were Stelios Kazantzidis, Glykeria and Manolis Aggelopoulos. Lefteris Hapsiadis was born in October 1953 in Feres, and lived during his early life in Koila, both agglomerations located in the Greek Prefecture (Νομός) of Evros. This is the most north-eastern region of Greece, bordering with Turkey in the east, and with Bulgaria in the north. Hapsiadis refers to Koila as his "Paradise on Earth", and nowadays he spends a major part of his life there. His family origin is from Pontos; this is the area in the north of present day Turkey, along its Black Sea coast. To this day Hapsiadis has been loyal to his Pontos origins and he has often collaborated in various artistic initiatives to preserve the cultural heritage of the land of his ancestors. An example includes the production of three CD records in the Pontos dialect, performed by Kazantzidis and Xrysanthos (an authentic Pontos singer), in the late eighties, early nineties . 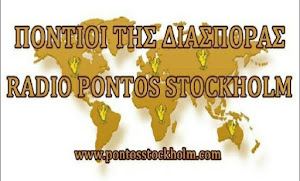 Hapsiadis is fairly knowledgeable of the Pontos Greek dialect that he learned from his parents and grandmother in Koila.